CANASTOTA, NY - OCTOBER 29, 2018 - The International Boxing Hall of Fame announced the 30th Annual Hall of Fame Induction Weekend will be held on June 6-9, 2019 in Canastota, NY. "The Hall of Fame is extremely excited about celebrating its landmark 30th anniversary of honoring the best in the sport of boxing and continuing to preserve boxing history for future generations," said Hall of Fame Executive Director Edward Brophy. The Hall of Fame Weekend will feature several exciting events during the course of the four-day affair culminating with the Official Induction Ceremony on the Hall of Fame Museum Grounds honoring the new class of inductees. A celebrity lineup of over 40 boxing greats of yesterday and today is again anticipated for the festivities. Many events in “Boxing’s Hometown” of Canastota throughout the four-day celebration, including a 5K Race / Fun Run, golf tournament, boxing autograph card show, VIP Cocktail Reception, Parade of Champions and the Official Induction Ceremony on the Hall of Fame Museum Grounds, are scheduled. The Hall of Fame Weekend evening events include Fight Night at Turning Stone on Friday and the Banquet of Champions on Saturday. Both events will take place at Turning Stone Resort Casino in nearby Verona, NY. 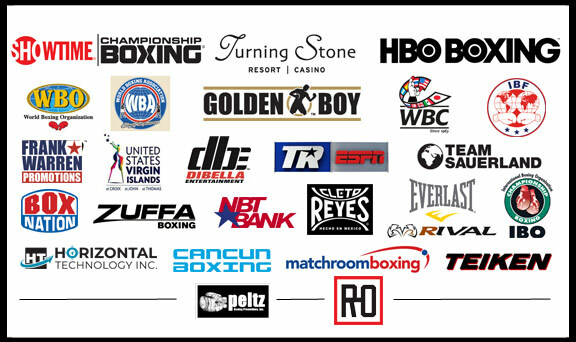 In 2017, Turning Stone Resort Casino and the International Boxing Hall of Fame announced a five-year multifaceted partnership to spotlight the entire region, garnering national attention and boosting tourism in Central New York. The program includes a series of nationally-televised boxing events at Turning Stone, culminating every year in June with an elaborate and bigger-than-ever International Boxing Hall of Fame Weekend with several exciting events in Madison County and Oneida County throughout the four-day celebration. The Hall of Fame Museum offers unique and exciting exhibits of memorabilia, including fist castings, robes, boxing shoes, statues, the Hall of Fame Wall and audio/visual stations highlighting classic boxing matches. Also, the world-famous Madison Square Garden boxing ring, where Muhammad Ali and Joe Frazier fought in the “Fight of the Century” on March 8, 1971, is on permanent display. Admission is $13.50 for adults, $11.50 for senior citizens (age 65 and over), $8.50 for youth (ages 7-15) and ages 6 and younger are free. For more information please call the International Boxing Hall of Fame at (315) 697-7095 or visit on Facebook, Twitter and Instagram.